Most people will answer with what they do for a living. Nothing more. Ask a company and you’re told what they make or what service they provide. Again, nothing more. With a tagline, however, you can explain in the simplest way possible what you do and how your customers can benefit – that’s it. Although only one sentence or phrase, a tagline provides a very powerful statement of how you, your product or service, can benefit a potential customer. In this article, I’ll show you how to create a tagline for the benefit your customer wants. People have trouble creating a tagline because they’re not exactly sure who their potential customers are, or how they can serve them. Who are your potential customers? Who is the buyer? What are you selling them? What will they be able to do, with what you’ve sold them? How will they benefit from buying it from you? What problem will it solve for them? That’s pretty straight forward and enough to construct a tagline. Typically, a tagline contains some sort of transformation, which is the “so they can _____ “. This is where you show the benefit of buying from you, and how your customer will be better off. This is what differentiates you from your competitors. Here are a couple of examples of tagline templates. so you can (achieve so-and-so). Recently I wanted to get more Ratings and Reviews on iTunes for a podcast I produced. This is the aim of all people starting a podcast, because the more ratings and reviews received, the higher you rank in iTunes. To achieve this, I created a Podcasters Private Facebook Group to give ratings and reviews on each other’s podcast. I also needed to create a tagline to entice podcasters to join and show them the benefits of doing so. The first step was to create a simple tagline using a basic template. get more Ratings and Reviews and therefore obtain a higher ranking in iTunes. Increase the number of Ratings and Reviews in iTunes for your podcast to rank higher. A slogan helps with branding or product identification. They’re catchy, seen on packaging, display ads, commercials and large billboards. The aim is to associate the creative catchy phrase with the product and make it stick in the consumer’s mind. Slogans are directed towards an association with a product, whereas a tagline shows the benefit you can offer your customer. This is particularly true when brands are just starting out. When brands are starting out, sometimes the slogan and tagline are one and the same because you’re just trying to establish who you are, what you stand for and why people should buy you. M&M’s originated in the United States in 1941 after one of the founders, Forrest Mars (son of the founder of the Mars Company, Frank C. Mars), patented a process that stops the chocolate candy from melting in your hand. In 1954 Peanut M&M’s were introduced and the tagline “Melts in your mouth, not in your hands” made its debut. The benefit is obvious and the slogan is very catchy and enduring. This is an excellent example of a brand starting out with the tagline and slogan being one of the same. After all, the patent was based on this premise. A memorable tagline with a very clear benefit to the customer. At the time, it also represented a unique selling proposition for FedEx. In one sentence, a tagline tells the world who you can help, and why they’ll be better off after buying from you. A tagline is simple and to the point. Anyone should be able to understand it clearly and easily. Finally, your tagline should reflect how your business differentiates itself from your competitors and what makes you unique. And, it’s all packed into one sentence. Thanks Verena. 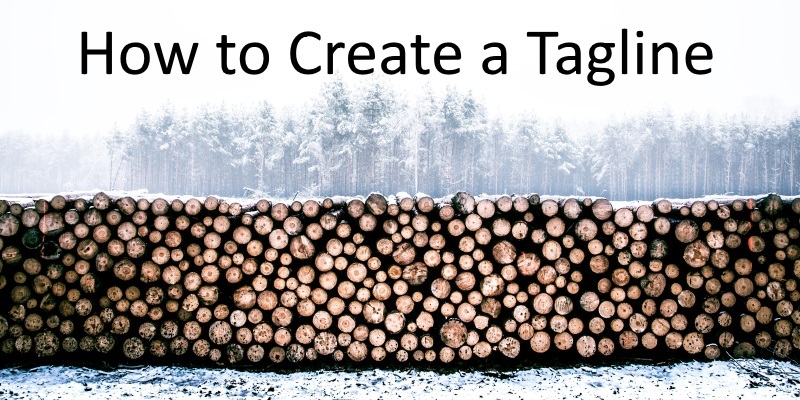 Many people struggle and don’t know how to create a tagline. You summarized key points very well and glad to hear you loved the post! A thoroughly good read – Thanks Mark. I’ll be looking at things very differently now.